AQUARIUM FILTER BAG, China AQUARIUM FILTER BAG, Quality AQUARIUM FILTER BAG manufacture by COX Filter Cloth. 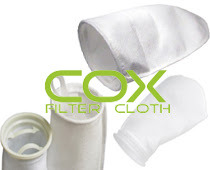 COX Filter Cloth offers a complete range of aquarium and pond filter socks. Our filter bags made by welded plastic rings, and are ideal for use with a sump tank. Stainless steel, carbon steel, drawstring neck available for aquarium and pond micron filter bags which easy install and handle. An aquarium filter bag is used to hold loose filter media such as Seachem’s Purigen. Using a bag sized appropriately for the media being used is critical, as a very small media may go through the holes of a larger micron sized bag. When choosing a bag, the higher the micron number the larger the hole. If your media is very tiny, generally something in the 150 micron size or less will be desirable. “The Bag” is often a good choice for smaller media such as Purigen. A good quality filter bag can be reused and refilled, so tie a knot in the drawstring that can be untied easily. COX Filter Cloth’s Micron Filter Bag is the replacement filter bag for all Aquarium Filtration Systems. The 200 Micron Filter Bag helps provide quiet filtration. Our pond filter bags are suitable for with gravity return filters, to remove particulate waste from your pond water. Our bags are manufactured in t high quality Nylon filter cloth. Pond filter bags are a much more efficient way to mechanically filter pond water, and can be rinsed and reused. Our pond filter bags contain a strong drawstring, so can be used on the return pipe to ponds from pond vacuums. This will remove smaller waste particles which have been allowed to pass through the first mechanical stage of filtration. Our high quality felt filter socks are manufactured in the UK to the highest standard. Felt is possibly the most widely used filter material used. Our range of felt filter socks are very versatile and are suitable for a range of applications. Our felt filter socks are avaliable in 100 and 200 micron ratings. Other filtration rate also available for selection.